Like many mountains of Colombia, the Sierra Nevada’s thick vegetation, isolation, and deep valleys and canyons made it easy for illegal armed groups to find shelter and resources among the trees during the country’s civil war. These mountains have been home to many indigenous groups, including the Arhauco, Wiwa, Kogi and other peoples, for thousands of years. The 2016 agreement between President Juan Manuel Santos and the Revolutionary Armed Forces of Colombia (FARC) ended the 52-year civil war in Colombia, giving Indigenous communities control of their coca crops once again. But the coca leaf still faces stigmatization given its association with the illegal narcotic cocaine. SIERRA NEVADA DE SANTA MARTA, Colombia — Asdrúbal Torres Torres places the thin, opaque leaf between his cheek and gums and begins to chew a sacred plant that has perhaps surpassed any other in its history of demonization and violence: the coca leaf. Torres Torres can be distinguished as Arhauco, as opposed to another of the indigenous groups in Colombia, by his traditional Arhauco dress. Cloaked in long white robes and a signature Arhauco cone-shaped hat, he also carries a handwoven bag that he will keep with him for the rest of his life. This is the bag an Arhauco boy is given by women in the community when he becomes a man to hold his coca leaves and his poporo, the device used to chew the leaves. Torres Torres is pensive as he recalls the dark history of his home valley, Nabusimake (a word that translates to “the land where the sun was born”). Nabusimake is a lush, isolated valley in the Sierra Nevada mountains that is bursting with diversity. This is where the Arhuaco community resides. A walk through the mountains reveals rare birds, like the endangered condor, and towering trees with extensive canopies, like ceiba de leche and the wax palm tree. 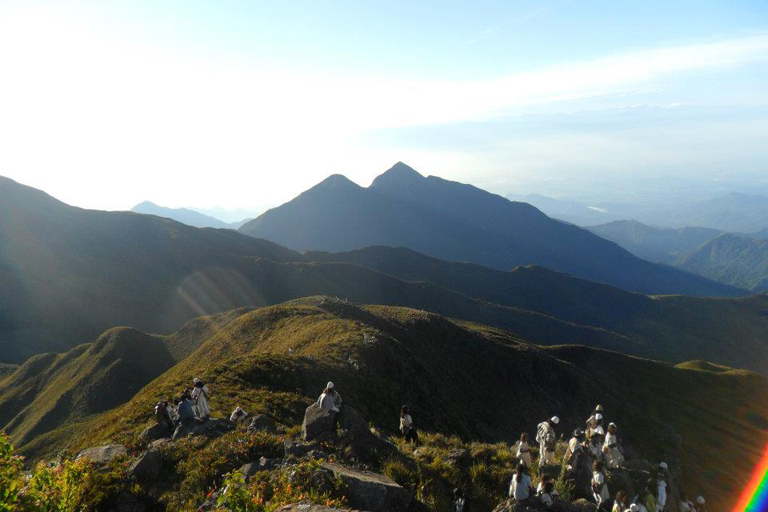 Bordering the Caribbean Sea at an altitude of 5,775 meters, Sierra Nevada Santa Marta is the world’s highest coastal mountain range. But the Sierra Nevada was not always as peaceful as the day Torres Torres sat at a local market reflecting on the past, having recently gained the ability to sell his coca leaf products. Like many mountains of Colombia, the Sierra Nevada’s thick vegetation, isolation, and deep valleys and canyons made it easy for illegal armed groups to find shelter and resources among the trees during the country’s civil war. These mountains have been home to many indigenous groups, including the Arhauco, Wiwa, Kogi and other peoples, for thousands of years. Santa Marta Sierra Nevada. Photo by Carlos Benedicto Torres. The 2016 agreement between President Juan Manuel Santos and the Revolutionary Armed Forces of Colombia (FARC) ended the 52-year civil war in Colombia. Although the 2016 peace settlement brought the official war to an end, the country is still adjusting to the peace process, and some groups, such as the Ejército de Liberación Nacional (ELN), have not signed onto the peace deal and are still operating. The coca plant is very different from the famous processed drug, cocaine. The coca leaf does not produce psychoactive effects, containing very little of the alkaloid needed to make cocaine and lacking many chemicals for its distillation into the drug. The leaf instead acts as a mild stimulant, producing effects similar to coffee. The coca leaf has been used extensively as a sacred plant in rituals, medicine, food, religion, social interactions, and other aspects of life in the Andean Region of South America for at least 8,000 years. But the practice was disrupted for indigenous communities in South America when, in 1961, the United Nations Single Convention on Narcotic Drugs declared “coca leaf chewing must be abolished within twenty-five years from the coming into force of this Convention.” Coca crops were shortly thereafter eradicated with herbicides without warning to the farmers. The poporo is a traditional gourd that carries a mixture of lime and sea shells, which are then mixed with toasted coca leaves for consumption. 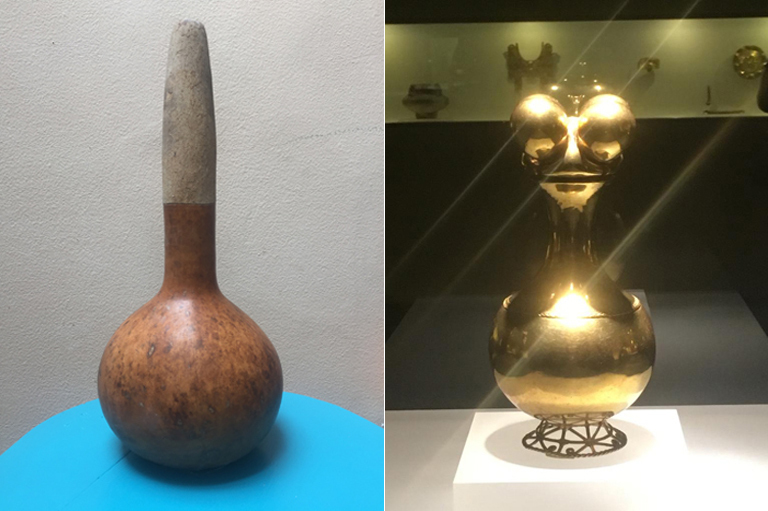 On the left is a modern-day poporo and on the right is a poporo found by archaeologists estimated to have been made around 300 CE. Photos by Margaux Maxwell. Indigenous communities have since fought for and won recognition of their cultural right to use and grow the coca leaf, and remain the only persons permitted to legally grow the leaf in Colombia. This decision was made in the landmark ILO Convention 169 of 1989, which recognizes indigenous peoples’ right to use traditional plants. However, this prompted illegal armed groups to pressure indigenous groups heavily for their sacred coca leaf during the cocaine boom. FARC and ELN, among other guerillas and paramilitaries, began occupying the Sierra Nevada region over three decades ago. As Torres Torres recalled, the illegal armed groups took the leaves and pressured the Arhauco and other indigenous groups into selling the leaves cheaply to the groups to make cocaine. “They controlled the crops of our particular community heavily for seven years. When I tried to make an agreement with them so that they would leave our region, I was targeted. The government blamed us for selling coca leaves to narco traffickers, but we didn’t have another option at that time,” he said. Members of the Arhuaco community in Nabusimake. Photo by Carlos Benedicto Torres. The remaining illegal armed groups still rely heavily on the illegal drug trade for sustaining themselves financially, alongside kidnapping and blackmailing. Following the 2016 signing of the Colombian peace deal after years-long private negotiations and contentious public debate, many illegal armed groups left the Sierra Nevada region for good and underwent a reintegration with society, though a few small illicit bands remain in the area. Londoño and the Amazon Conservation Team were unable to intervene during the war. It was too dangerous to travel into the Sierra Nevada Santa Marta where the Arhauco, Wiwa, Kogi, and other peoples reside. Since the enactment of the peace accord, indigenous communities have regained full control of their coca plants, without the aggressive pressure of the illegal armed groups. Some indigenous community members have decided to sell their cultural products, including the coca leaf, after the signing of the peace deal. 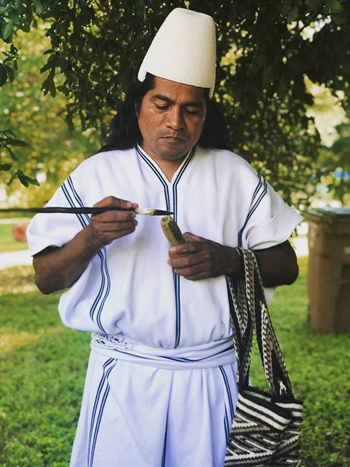 Asdrúbal Torres Torres, leader of Ywawika and member of the Arhuaco community in Sierra Nevada de Santa Marta, using a poporo to chew coca leaves. Photo by Beatriz López. “Now, we have finally regained control over our products and [are] getting paid what we deserve with no third party setting the price,” Torres Torres said. 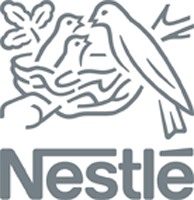 “We are selling the coca leaf in the form of creams, coffees and chocolates, which are not as traditional for us, but which little by little may subtly normalize this sacred leaf that has been demonized by governments internationally and abused and misused in society.” Torres Torres is now the leader of a company called Ywawika, whose products are not yet legal in many parts of the world. Ywawika (also known at Jwawika) was founded in 2017, one year after the signing of the peace deal. But the societal stigma surrounding the coca leaf remains, despite its lack of psychoactive effects. INVIMA (the Colombia National Food and Drug Surveillance Institute), a Ministry of Health regulatory authority that inspects and supervises the marketing and manufacturing of health products, states in a 2010 health warning: “these products are not on the Health Register and any medical, preventive, curative or therapeutic benefits which may be asserted in support of their consumption are neither authorized nor endorsed by INVIMA.” The agency continues to reject the certification of coca leaf products, blocking indigenous communities from selling many of their products in mass markets such as supermarkets and pharmacies. Coca products can mostly be found in niche markets and fairs throughout Colombia. While coca products purchased in Colombia can be consumed during one’s stay in the country, traveling internationally with such products can be punished under severe drug trafficking laws. 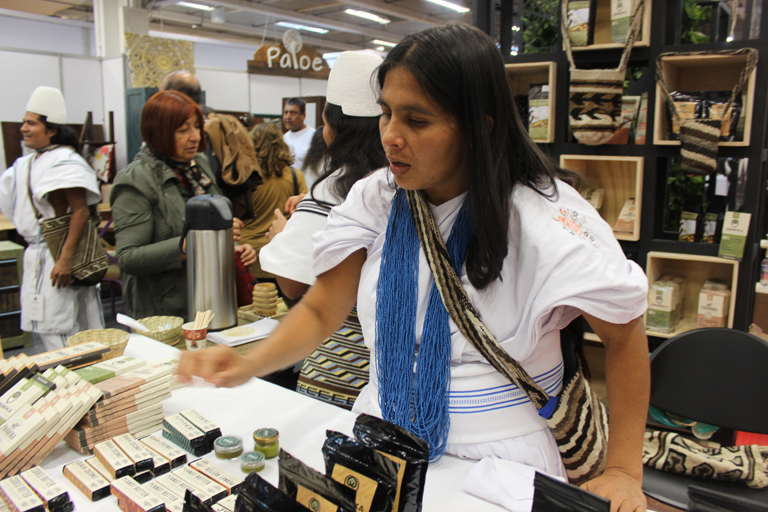 A member of the Arhuaco community selling coca leaf products including coca cream and coca chocolate at Expoartesanias, an artisan fair in Bogota. Photo by Margaux Maxwell. However, not everyone agrees that the coca leaf should be commercialized. 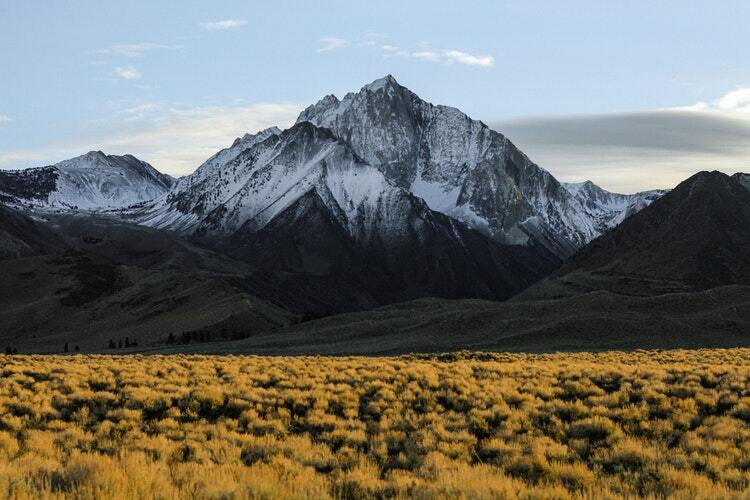 “Most indigenous peoples of the Sierra Nevada would never do it. It’s like if you sold something that is very sacred for you, your culture. The general principle is that you don’t sell those things,” Londoño said. But Torres Torres believes selling coca more widely will remove the stigma surrounding the leaf, having traveled to the United States, the Czech Republic, and other parts of Europe to try to sell his coca leaf products. “Coca is a sacred plant that the Gods gave to us and all communities throughout the Andes and it represents the tongue of the Creator,” he said. “Through the coca plant you can talk the word of the Creator. So when we put the leaf on our tongue we are connected to the gods and we can transmit messages through the spiritual world and also the physical world to keep the equilibrium of our physical bodies. When people try it in its raw form, they will understand that it’s not harmful, it’s an ancient tradition,” he continued, speaking of his community’s non-psychoactive spiritual and traditional connection with the plant. A new threat has arisen, however. Without the illegal armed groups in the newfound zone of peace in the Sierra Nevada Santa Marta, miners no longer have anything to fear. Just last year, former president of Colombia Juan Manuel Santos granted over 200 mining titles to exploit the mountain’s mineral resources. Although lengthy protest from indigenous communities elicited a government vow to ban the mining, the situation remains uncertain under a new presidency. 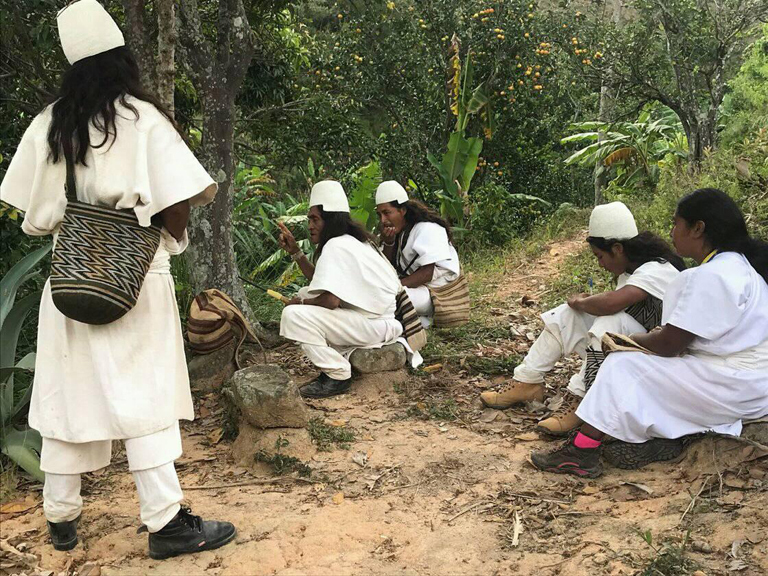 Members of the Arhuaco community in Sierra Nevada de Santa Marta, using a poporo, a traditional vessel made from a gourd to assist in the chewing of coca leaves. Photo by Carlos Benedicto Torres.